It has been one week since we lost a friend, Claudia, who was killed while riding her bike on the Botley Road. It has been a week of intense emotion and action. We attempt to tell the story of that week here. On Wednesday we painted a ghost bike and rode it to the crash site with a group of more than 100 people to mark the place where Claudia was killed. On Thursday, in the wake of this sad and magnificent ride, we wrote a tribute to Claudia and a call for change on our roads. That same evening there was a meeting of the quarterly convened City Cycling Forum chaired by Cllr. 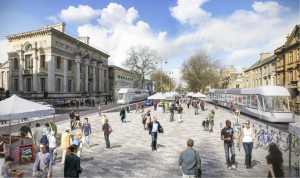 Louise Upton, a City Council led initiative to bring together representatives of the cycling community to share ideas and expertise to improve cycling in Oxford. We opened the Forum by reading out the blog post we had written about Claudia and asking how the groups represented would respond to her death. We wanted the massive public outcry we had felt on the ghost-bike ride, to be heard in the Council chambers. For us this is not about a specific junction or set of circumstances; it’s about the way that our roads are structured, a way that marginalises and endangers people on bikes. The tragic consequences of this had just been thrown into stark relief for us. We heard that, while there exists a will and a recognised need within the city for change, the current division of power prevents this from happening. Power over transport policy is located at the Oxfordshire County Council, not City Council level. And while many solutions are well known, a different kind of politics is needed in order to change things. People at the Forum disclosed that the County Council feel “no political pressure to improve cycling”. We all felt frustrated and angry. How can this be the case? How can people knowingly continue to allow the most vulnerable road users to be killed or seriously injured, when there are solutions and alternatives? How many more incredible people must be lost before the political will for change is generated? Where and how is that political will created? We need to feel safe on our streets; we need to collectively reimagine what it means to live and move around in the city of Oxford. 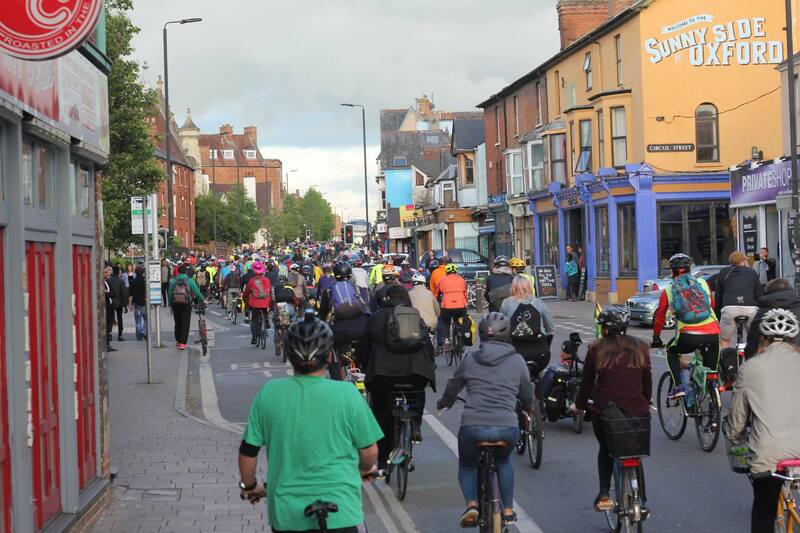 Then on Friday something incredible happened – the biggest mass bike ride Oxford has ever seen. Around 600 people gathered on Broad Street. The scene was a sea of human powered vehicles and people decked out in all the colours of the rainbow, with plenty of folks wearing Claudia’s signature – stripes and neckerchiefs. They included some of Claudia’s closest people but also many people who did not know her. They came because they were touched by Claudia’s death. They came because they felt the loss of someone young and vibrant with so much left to give the world, someone who died doing something they do everyday – riding a bike. They came because they knew that this could have been them or their loved ones. They came because they could no longer accept the danger we face when we ride our bikes on the roads of our city. Despite the shock and tragedy that triggered the ride, it was a deliberate celebration. Loud, colourful, and full of life. There were bells, singing, handlebar horns, laughter, tears, chants, and screams. On mass, we rolled through town and all the way up Cowley Road to stop outside Claudia’s house. Then we spun back to town and down Botley Road to Claudia’s ghost bike. The feeling of strength, visibility, solidarity was palpable; so rare is this feeling when we cycle through our city. We created safety in our numbers, a temporary space for ourselves to cycle without fear. We rode for 3 hours. It was an unprecedented and unique event. The question that now weighs heavily on our collective minds is where does all of this ground-swell of energy and emotion go? For some of us it’s about making sense of the sudden death of a friend. For some it is about not losing more people this way. For some the daily experience of intimidation on the roads has become painful and unbearable now that its very real consequences have been brought to the fore. We have been quoted as calling for a ban on cars in the city centre in the wake of Claudia’s death. We assume this is because we have questioned whether private cars and vans belong on our city’s roads, and because we have called for change, for safe space for cycling. To us there is a distinction between saying that something doesn’t belong somewhere and calling for a ban. The first is alluding to a vision of a different, more connecting and inclusive use of space; while the latter is only one of many strategies one might choose to try to get there. And it is a strategy we would not choose. 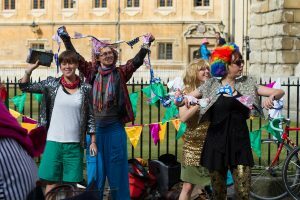 We want the people in Oxford and those making decisions in the County Council to rethink the dominance of motorised vehicles in the city. We want the political will of people, as demonstrated in such a big way by the turn out on Friday’s ride, to be heard and acted upon. We want to enable a dialogue to question current priorities. We do not want to leave anyone out of this vision, including people who choose to walk, take the bus, or drive. We want Oxford to claim the title of ‘cycling city’ only when it is an honest reflection of reality. When people on bikes are designed ‘in’ not ‘out’ of our roads, when they have space, infrastructure and facilities. Anything else is inauthentic. Over the years, as part of a wider community of people working to improve our city, Broken Spoke has become a home, a hub, an advocate for cycling. Claudia was a member of this community, so we feel compelled to respond to her death. But we also feel a responsibility to enable more people to question, to reimagine, to be inspired to live in a different way in our city – and that’s all people not just those currently interested in bicycles. The streets belong to us all and we need to make them as safe as we possibly can for all. If everyone who feels affected by what happened to Claudia, by how structurally unsafe our streets are for people riding bicycles, stands up for what they believe in, then collectively we can transform our city. Cyclox and other local groups have been campaigning on this for years. Let’s join them and swell their numbers. Let’s form partnerships and alliances. Let’s seek dialogue with those who worry about the changes proposed. 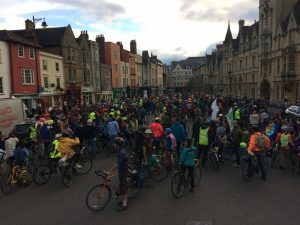 We think the 600-strong ride on Friday night was an expression of an urgent desire from the constituents of this County to improve cycling. And no matter how magical, powerful, and moving Friday was, it was only a moment. We want to see lasting structural change.